Our favorite restaurant, we love their award winning Grits à ya ya and their Balsamic salmon. Don’t forget to sample their mojitos! Peach, strawberry, classic, mango, guava … you really can’t go wrong. Breakfast, lunch or dinner, we love this place all day long. At breakfast you have to try their brown sugar bacon and their Parmesan Crusted breakfast sandwich. For dinner, the Pork Tenderloin Medallion are wonderful…and the salmon is also very good. And a great thing about this restaurant….it is a 9 minute walk from Sea-esta or a 2 minute drive! Located in Grayton Beach, just north of 30A, Chanticleer Eatery has a laid-back casual atmosphere, with indoor and outdoor seating. It has become one of our favorite dinner places that is not as well knows as other restaurants on this list. They bake all of their own breads and offer made-from-scratch sandwiches, salads and soups at lunchtime. Dinner offerings include grilled perfectly ribeyes and pork chops, shrimp and grits, smoky jambalaya and juicy burgers and lots of terrific appetizers and made from scratch cookies, cakes and key lime pie. If you have not had a fried or grilled grouper sandwich at Seagrove Village Market Cafe, you haven’t had the best one we have ever tasted. 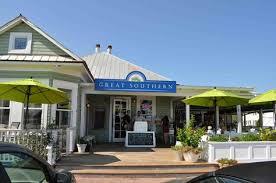 A local institution, the Grouper Sandwich at Seagrove Village Market Café was named one of the “100 Things You Must Eat Before You Die” by Garden & Gun magazine, and it’s consistently voted as one of 30A’s hot spots for deep fried seafood. A no-frills diner and souvenir shop that’s just a short bike ride or car ride from Sea-esta and anywhere on Seagrove Beach. Café Thirty-A is a casual fine-dining restaurant featuring grilled and fire roasted seafood, meats and poultry, wood-oven pizza, vegetarian fare and hedonistic desserts. The menu changes daily according to availability of ingredients. Fine wines and cocktails–including the best martinis in the area–complement the meal. We really like their daily two for one specials from 5:00 to 6:00. This restaurant is only a five minute drive from Sea-esta. 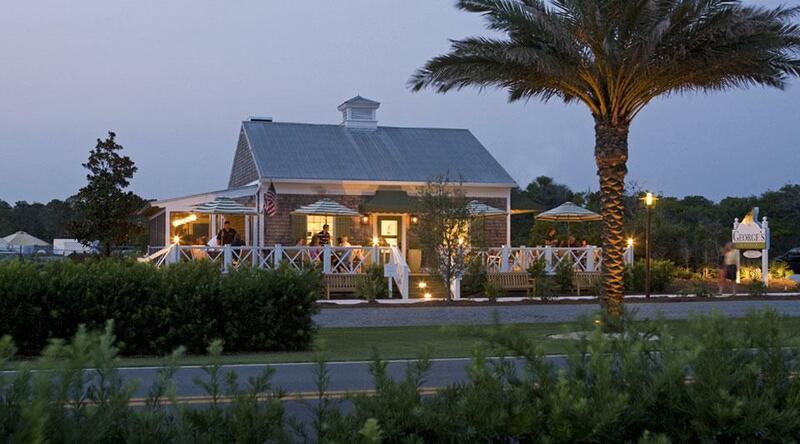 George’s has regional coastal fare in the quaint town of Alys Beach, Florida. 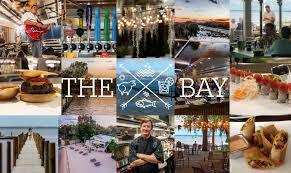 They craft all of their dishes using locally sourced, organic produce and the freshest seafood available. Their dishes fall into two categories: Behave and Misbehave. 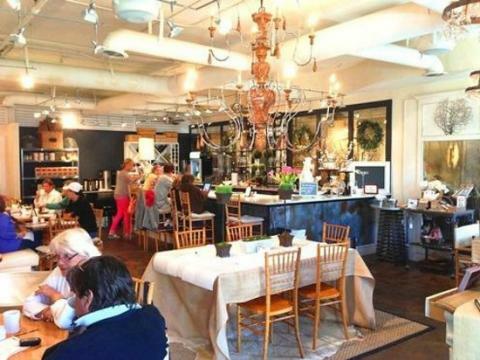 The Behave section features organic, spa-inspired dishes, while the Misbehave side touts traditional beach fare like fried seafood baskets and po-boys. 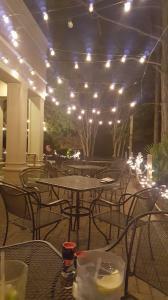 When the weather is nice, we love to sit outside in their porch or garden area and enjoy a nice meal along 30A. 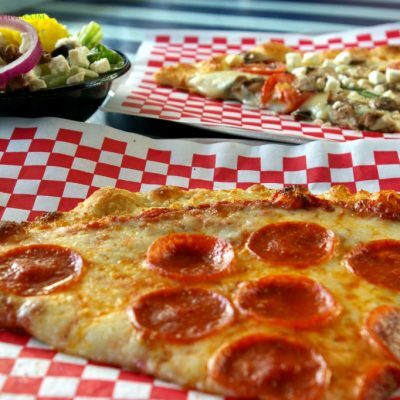 Bruno’s Pizza – Voted 30-A’s Best Pizza For 21 Years. They are a classic old-school pizzeria that still make their own dough and sauce every day, and still hand-toss it into the air, and have an open kitchen that allows you to watch your pie being made from start to finish. You can sit inside or, if the weather is nice, sit in their back porch under the starts and string of lights. Located in Watersound, just 5 minutes from Sea-esta and anywhere in Seagrove Beach. Located in Dune Allen Beach, there’s nothing stinky about this stellar seafood spot except, perhaps, the wait for a table. This fun, lively, rustic restaurant is reminiscent of a shabby-chic, woodsy, waterfront cabin. Once the Sous Chef at New Orleans’ famous Commander’s Palace, Chef Jim Richard (one of 30A’s top chefs) insists on using only the freshest ingredients and Gulf catches in this fun and casual fish camp. 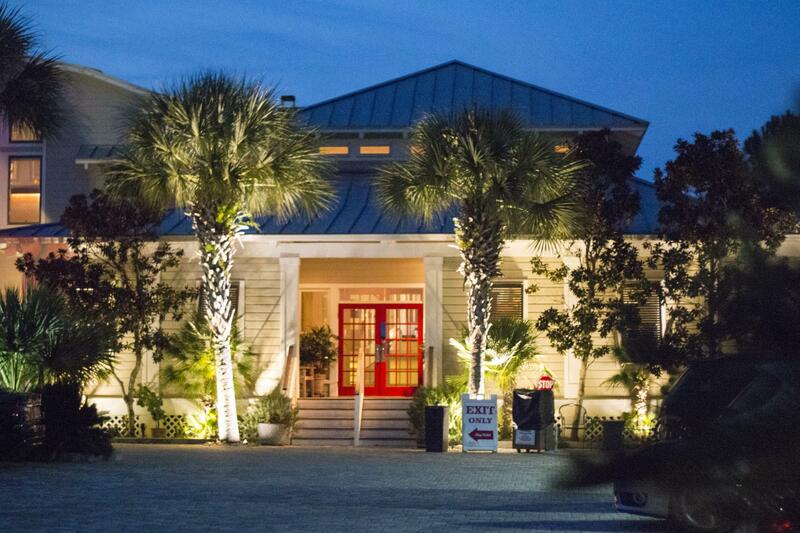 A local institution that’s not to be missed, Grayton Beach‘s Red Bar is quintessential 30A. 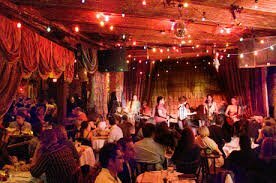 Known for its fun and funky bohemian beach shack vibe, The Red Bar’s a great spot for food, cocktails and live music (usually world-class jazz courtesy of the house band, or the ever-popular Dread Clampitt). The wait at the Red Bar may be a long one, but it’s always worthwhile. We had to add a number 11 to our top ten list! While food trucks are anything but new, Seaside joins the popular urban trend with classic silver Airstream trailers offering a variety of fare. 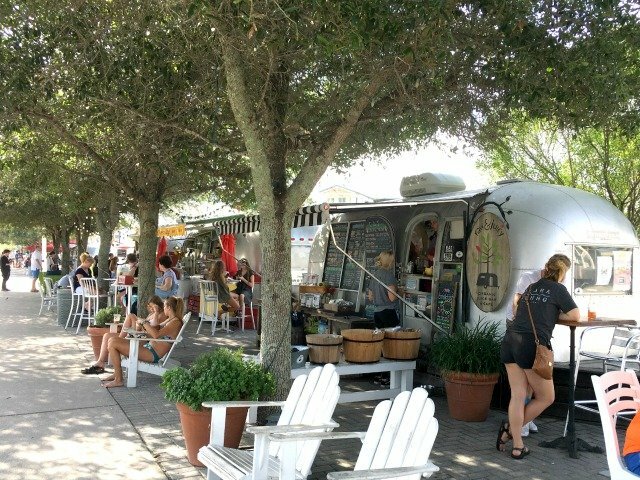 Illustriously known as “Airstream Row”, the grouping of food trucks are at the center of Seaside directly on Scenic Highway 30-A. Airstream trailers are as much a part of the landscape and style of Seaside as any of the other elements. The Airstream restaurants in Seaside are unique in style and cuisine making them stand out among the other more traditional dining establishments. Frost Bites – Hawaiian shaved ice, homemade frozen custard, fresh squeezed lemonade and cold drinks. Barefoot BBQ -Specializing in beachside BBQ in retro, tiki-style atmosphere. Meat is hormone, steroid & antibiotic-free. 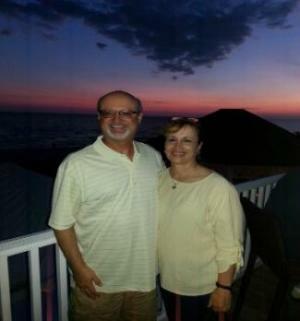 The Meltdown on 30A – Everyone loves a traditional grill cheese sandwich! Now you can also try specialty. Serving traditional and specialty grilled cheese sandwiches. Wild Bill’s Beach Dogs – Best hot dogs on the beach! No antibiotics, hormones, nitrates, filler or junk. Raw & Juicy – Organic juices & smoothies, raw food and homemade organic snacks like specialty granola, macaroons, kale chips and more. A few restaurants that we also like but did not make our Top Ten list are Trebeache, (wonderful seafood) Cowgirl Kitchen (casual pizzas, fish tacos), Amici (for great Italian), and Pescado (Good food and amazing views). You may also want to see our Top Ten Things to Do on 30A!